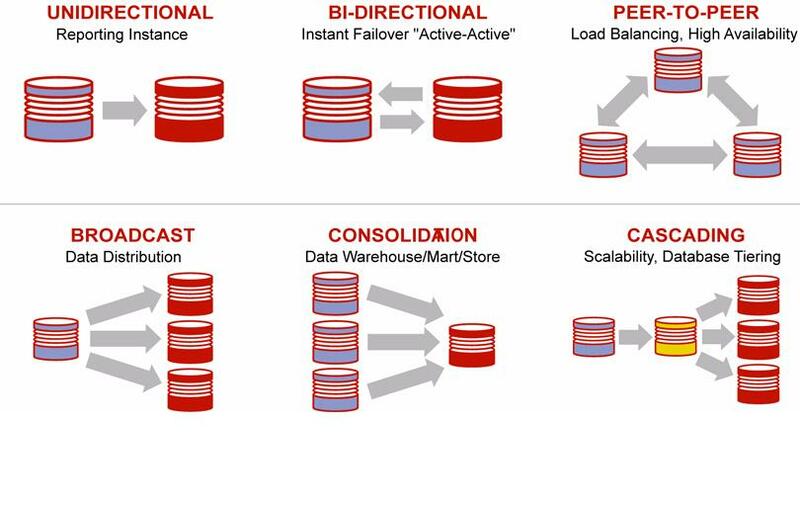 Let us know look at the differents components and processes that make up a typical GoldenGate configuration on Oracle. The Manager process must be running on both the source as well as target systems before the Extract or Replicat process can be started and performs a number of functions including monitoring and starting other GoldenGate processes, managing the trail files and also reporting. The Extract process runs on the source system and is the data caoture mechanism of GoldenGate. It can be configured both for initial loading of the source data as well as to synchronize the changed data on the source with the target. This can be configued to also propagate any DDL changes on those databases where DDL change support is available. The Collector is a background process which runs on the target system and is started automatically by the Manager (Dynamic Collector) or it can be configured to stsrt manually (Static Collector). It receives extracted data changes that are sent via TCP/IP and writes then to the trail files from where they are processed by the Replicat process. When processing transactional data changes, the Extract process can obtain data directly from the database transaction logs (Oracle, DB2, SQL Server, MySQL etc) or from a GoldenGate Vendor Access Module (VAM) where the database vendor (for example Teradata) will provide the required components that will be used by Extract to extract the data changes. A processing group consisits of a process which could be either a Extract or Replicat process, a corresponding parameter file, checkpoint file or checkpoint table (for Replicat) and other files which could be associated with the process.